Behind and down the hill from the house sits a pole barn; a rustic structure with slatted sides, metal roof, and dirt floor. 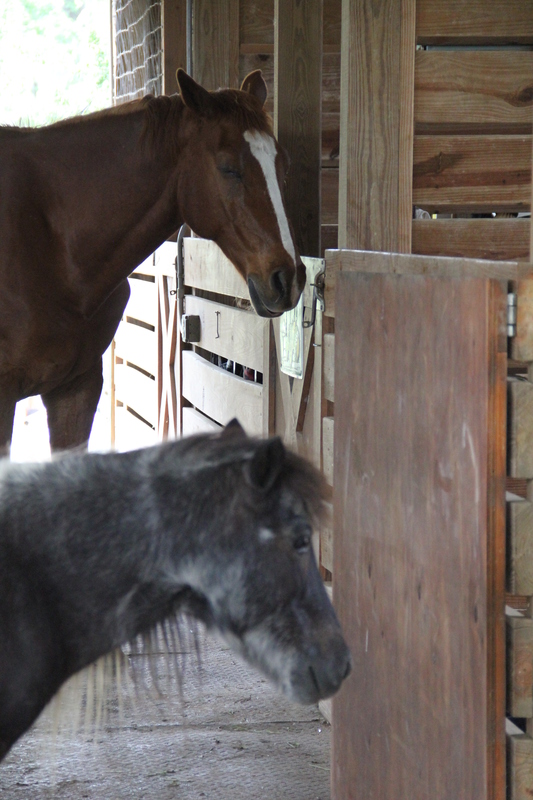 The horses have not been housed in a barn for almost five years and while they remain committed to roaming and living as a herd, they took an instant liking to the barn. They cajoled me into having access during rainy weather followed soon after by afternoon nap time, feeding time, and early morning gatherings. 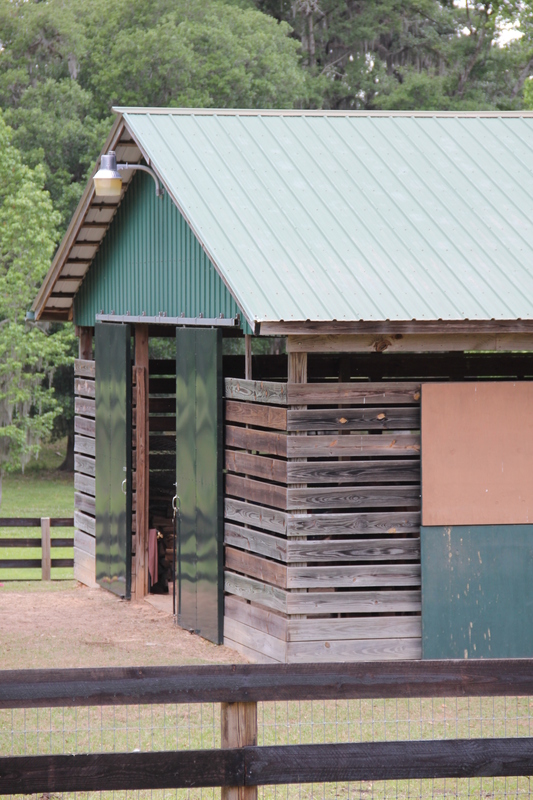 While there is room for eight, only four stalls exist, two of which have been commandeered for tack and feed storage. This arrangement does not bother the herd in the least. They gather in the aisle and generally accept the hierarchy I have imposed, reserving the two stalls for the “special needs” members of their tribe. The barn is theirs. I love the casualness of it, but it’s a bit like an extended stay in a camper trailer: Sooner or later, tempers flare, the big kids start punching and someone needs to get out of the way FAST to avoid getting hurt. It keeps me on my toes. Plus, this is Florida and the promise of full out, knock-you-down storms means we will need something more secure for the ten hooved members of our family. So our home restoration starts with the barn. Five big horses each needing their own stall, two mini horses sharing a stall, and three mini donkeys in a big stall of their own. Wait, wait, then there’s room for all the things I need to support them and our time together – the tack and feed and hay, plus a shop for Gordy and his tools and a place to park the tractor…. So the rustic little barn is going to be made to grow up, to be the place we all belong and where we gather; the kitchen table with everyone sitting in their own familiar spot. To accomplish this, we will build out the other four stalls in the existing barn and extend the structure on both ends. The horses will occupy the center area, Gordy will have one end and I, the other. A new roof, siding and flooring will give us security when we truly need to button down. I don’t know how the flow of the new barn will work, whether we each will be content in our own spaces or follow the “what’s yours is mine” mantra of togetherness. I kind of have a hunch though and it makes me happy. Im so excited about your new journey. It all sounds wonderful and I can’t wait to see it all come together. You are the best mama they could have and they are beyond lucky to have you. I can’t wait to see it all together, I love your relationship with you animal family, it is truly amazing!